The old ways of marketing on the internet are now behind us. Businesses must take digital marketing serious if they want to do well in the online world. Digital marketing is well-known for helping companies do the following things: establish a new brand, get better engagement from sales prospects, increase targeted traffic, convert visitors into loyal customers, and generate consistent sales. It’s important to mention that a different strategy is required for each goal. Having a good strategy in play will help you get on the right path to reach your online marketing goals. In this article, we will take a close look at three top digital marketing strategies that will drive more traffic to your website. You are bound to get more sales when you get more visitors to your site. Before you begin using the strategies listed below, it’s vital that you make sure that your site is optimized for the search engines. If you don’t, there’s a strong possibility that you will not succeed. If you are in need of help, you should get in touch with a professional. Your prospects are searching for content that will help them to solve their problems. You must offer value to your prospects. Creating exceptional content is the easiest way to do this. Back in the day, big brands did not have any problems with setting the standard for online marketing. They were notorious for asking their customers to give them money without offering anything of value in return. Things have changed drastically! Consumers are now in the driver’s seat. They control the market, and they will not spend their money on your service or product if you are not offering additional value. What type of value can you give your prospects? You can give them quality e-books, informative blog posts, and videos. 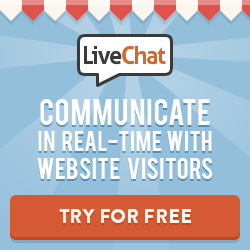 Some companies are having success with giving their visitors info graphics and webinars. Please keep in mind that you must avoid pressuring your visitors into making a purchase. Simply educate them, and they will more than likely do business with you. An experienced digital marketing agency will tell you that automation strategies can help you convert a good lead into a paying customer. They can also help you send a series of follow-up messages to current customers. With automation strategies at your disposal, you can save precious time. For instance, let’s say that someone visits your website and downloads a document. They leave your site without making a purchase. An automation system will send them an email. The email will tell them about your products and highlight the benefits of buying them. If they don’t respond to the first email, the automation system will send another email. As you can see, the automated system will increase your chances of making a sale. Online advertising is an inexpensive option that’s guaranteed to provide excellent results. You can leverage popular platforms like Google, Twitter, and Facebook to get more exposure for your company. When it comes to online advertising, you only pay for results. You will not be charged if no one clicks on your ads. You must use the best digital marketing strategies to stay ahead of your competitors. The three strategies listed in this article will help you market your services or products to your targeted audience around the globe. Once you master them, you should consider adding more strategies to your arsenal.